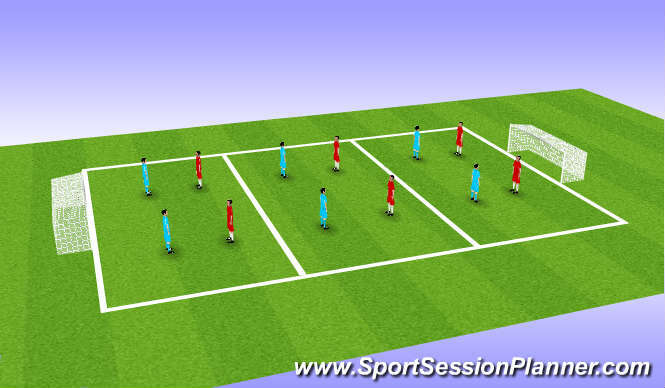 3v3 in each half ball to be transfered across to other grid. Playing through the thirds, when pass is made from 1 third to the next 1 player from attacking team can go into next third to make 3v2 situation. 1 touch finish. 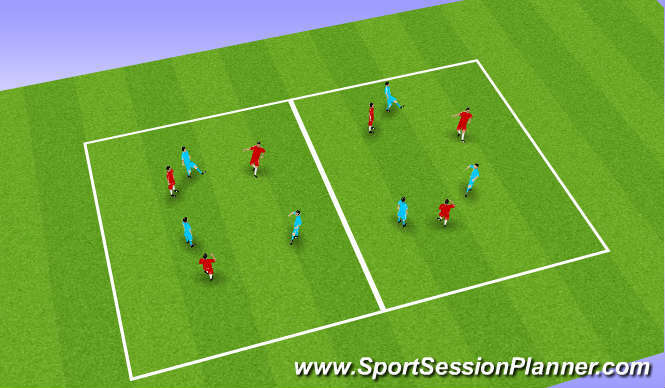 Reciving, passing to play forward (back foot + half turn). Recognition of space disguse on passing understanding of when and where support is required. Anearobic and aerobic work, balance and agility. Session went well, the quality of passing & movement was of a high standard. The players showed a desire to achive and attitude tepmop of session was very good.